North Manchester venue just yards away from the Metrolink stop at Radcliffe -this is the only venue outside of Manchester that's so easily commutable by train. 20 minutes away from the City Centre, you can be back in Manchester to either get home, or go clubbing, any night of the week. 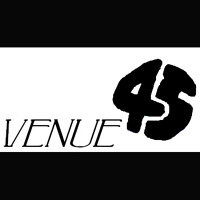 A healthy mixture of unsigned and general entertainment acts, Venue 45 features the best alternative / rock acts based around Greater Manchester and beyond and joins The Castle, Soundhouse,The Met and Blu Cat as a regular live venue on the circuit. Anyone interested in playing here can contact Gary Martin on (0161) 724 6444.